In my blog post of the 10th I showed you how I’d started on my big project of making two patchwork, single bed sized, quilts. This project is coming along, but it does need to be done at the kitchen table at I have no other space I can have my sewing machine out, and sometimes my health is such that I can do a little work on the project but nedd help to get the sewing machine or die cutting equipment into place for me. So it isn’t a project that I can keep working on constantly. 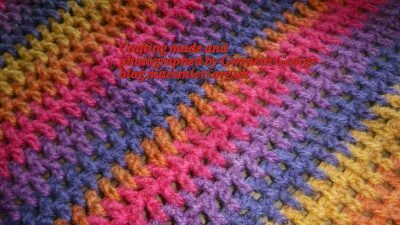 I therefore decided that I’d start on a pair of crocheted blankets to go on the same beds as the quilts. 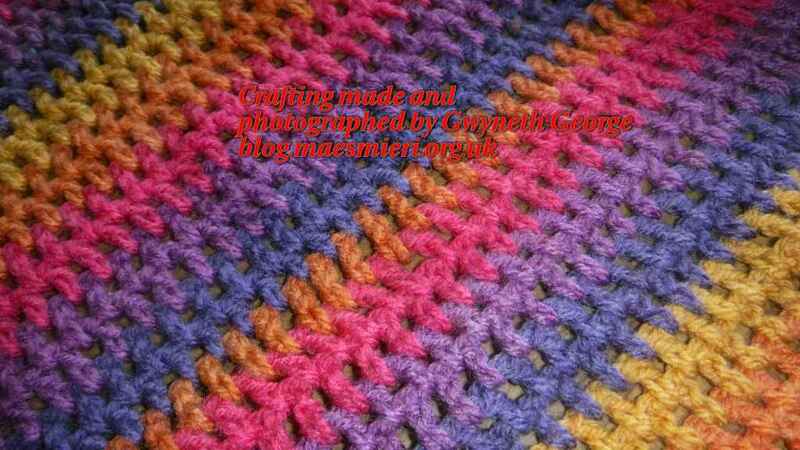 I can crochet a little at a time sat with my feet up in front of the telly or in bed, so, naturally, the blanket project is coming on quicker than the quilts. 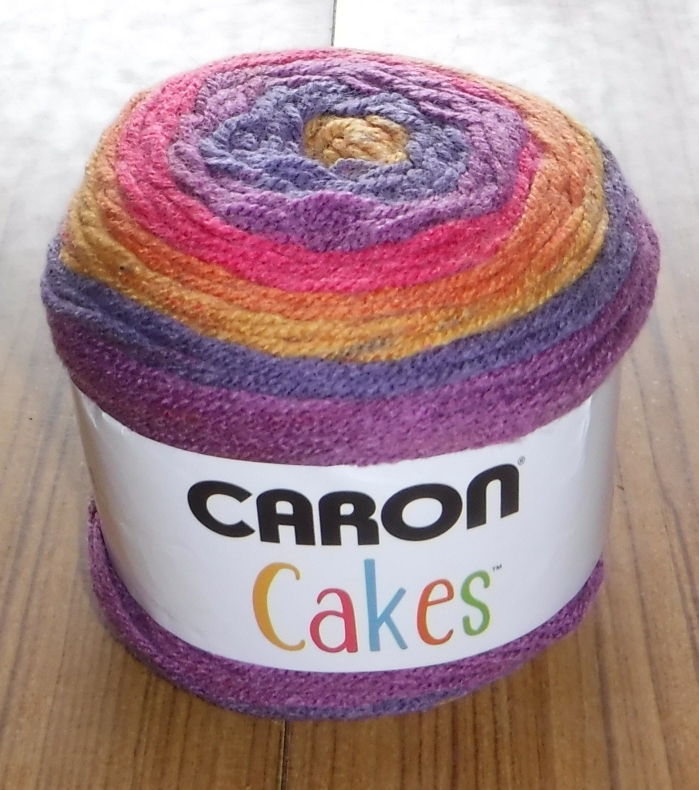 I chose to work with Caron Cakes yarn in a colour called Funfetti. This is the details from the band. It’s taken me a few weeks but I’ve now finished the first blanket and even started the 2nd. This us it folded up. As you can see, I have a few ends left to weave in. 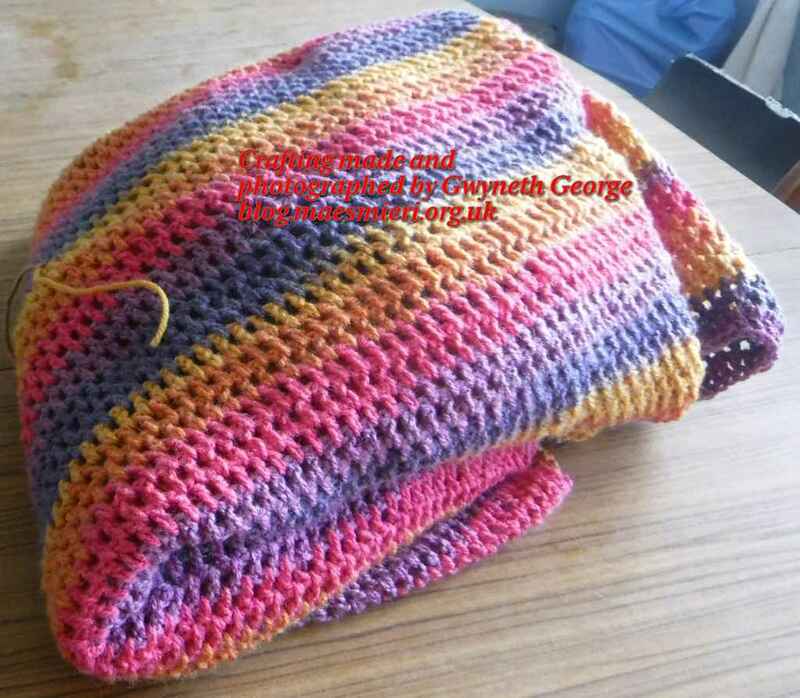 I crocheted it in back and fore rows of single treble stitches, unlike the other blankets and wrap I’ve completed which were in a Granny Square pattern. This is a closer look at the stitches. 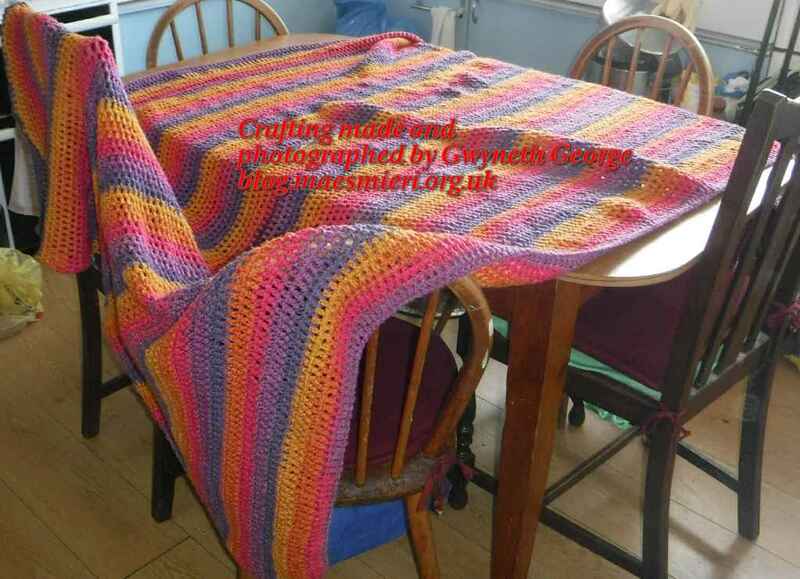 So, that’s one blanket done and I’ve just started the second, so keep an eye out for a post to say that the second is complete, as well as more posts on the progress of the patchwork quilts that are to go on the same bunk beds.